Quick post today. 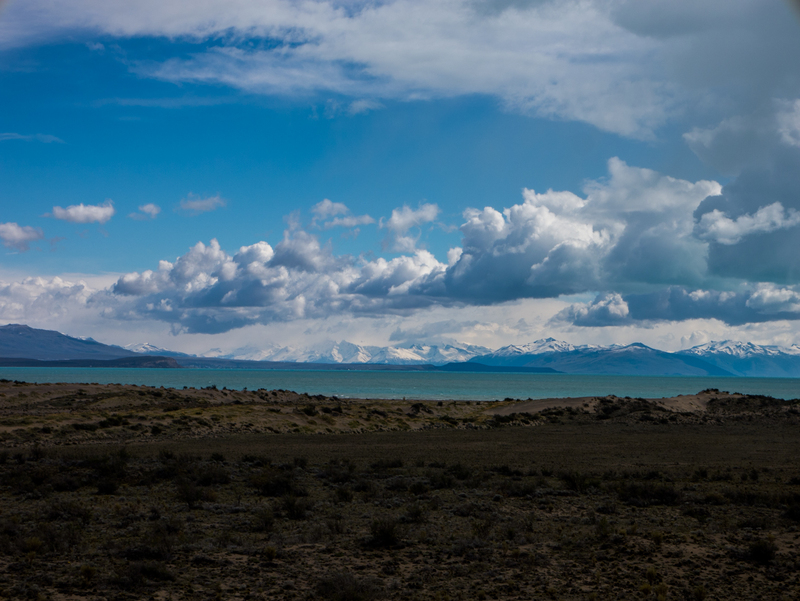 I wasn’t going to head to El Calafate originally, but I was drawn to the mountains across Lago Argentino, and needed a reprieve from the sudden change in direction of the wind. So, to make this post somewhat useful, I’m going to give a short update and then throw up some resources that might be of interest to future travelers along this route. Out of Tres Lagos, I understood that there would be one pretty bad day, going almost directly west to Lago Viedma. And it was. 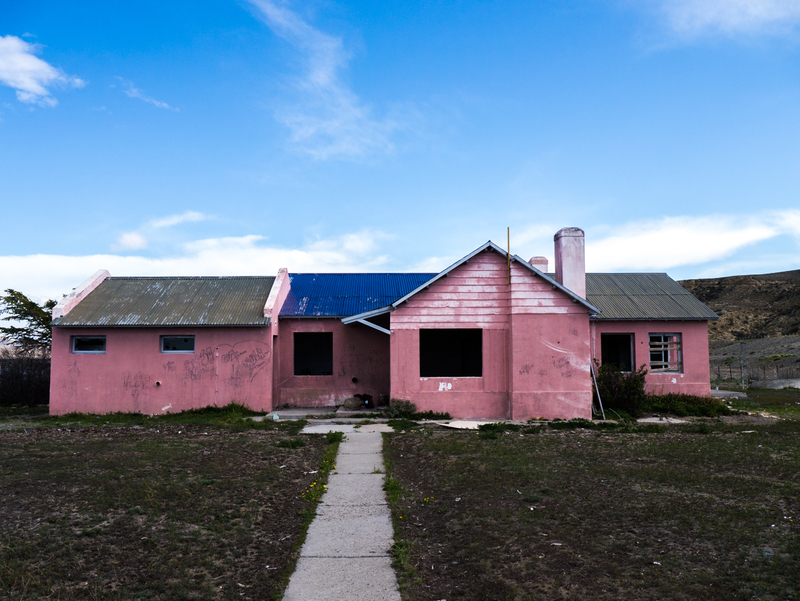 70km, about 2/3 of it mostly of it straight into a headwind to what most cyclists refer to as “The Pink Hotel.” The Pink Hotel is an abandoned restaurant where many travelers stay on their Ruta 40 journey. 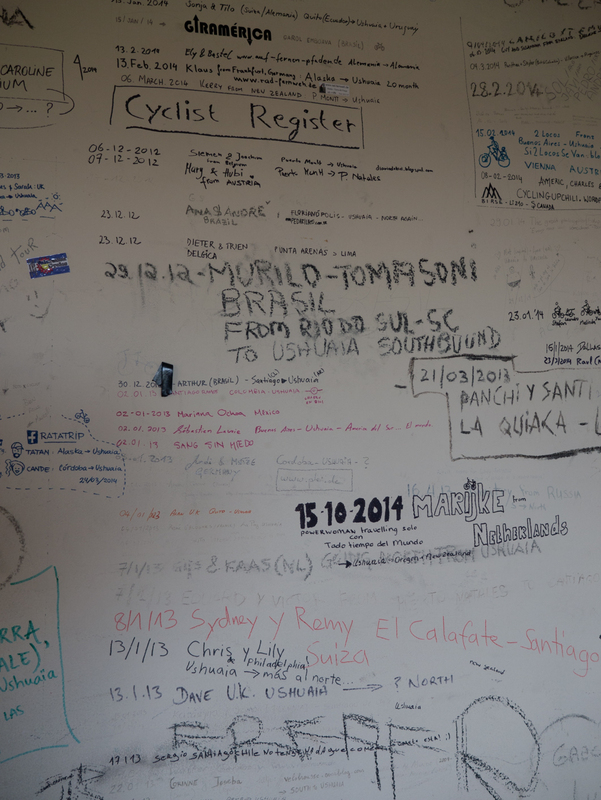 On one wall is a “cyclist register,” and on the other a “motorcyclist register.” Fun to look through past occupants, and a must stop if you see it along your journey. So I spent a rather frigid night on the floor of the Pink Hotel, anticipating the joy of riding southeast along the next stretch of road. 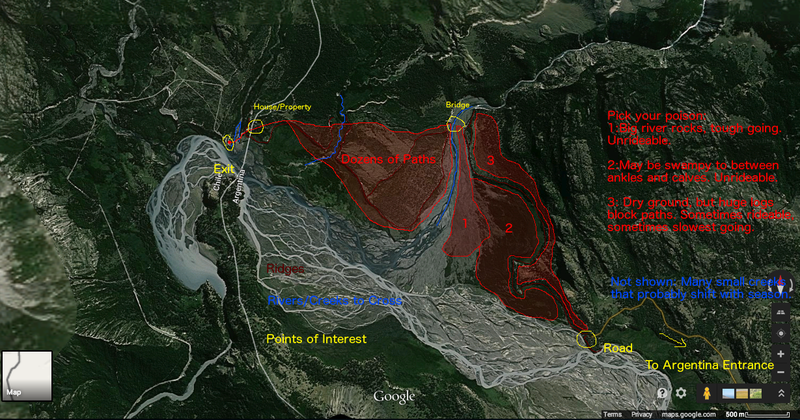 Curiously, the wind seemed to be blowing from the south, but I chalked that up to being at the bottom of a valley. Then I woke up the next morning, climbed to the road, and realized my mistake. The winds, almost always from the northwest, had changed directions, and I would have to ride almost 60km to the next stopping point with a headwind almost the whole way. Add to that pretty terrible weather, with hail pelting my face during stretches, and this next day turned into a rough one. By 6:30pm, I had finally made it to the crossing to El Calafate (westward), stuck out my thumb, and hitched a ride into town. Chile, and the Southern Ice Cap, across Lago Argentino. This is the view that convinced me to go to El Calafate, tucked in on the coast along the left side. El Calafate is a pretty touristy town, with expensive trips to glaciers and hiking trails. There’s an airport here, which allows for a quick entry and exit, and North Face, Columbia, Patagonia, and Merrill stores downtown. I dragged my unwashed, unshaven self downtown past families and couples dressed in their finest of outdoor-chic gear (Do those fleece baubles hanging off your shoes make you warmer?) to the local brewery, and chowed down on fresh veggies and beer. 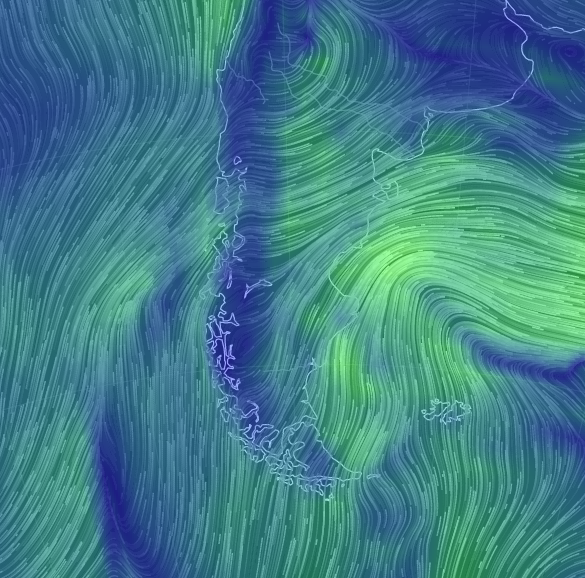 Usually all of those lines are coming from the northwest, or, on Tierra Del Fuego directly from the west. My map of Mayer: I tried to throw this map together from memory. Your mileage may vary, but this shows you the main river crossings, the entrance, and exit points. On to Torres del Paine!